After a couple of days on the slopes we were both a bit sore today so an enforced recovery day was imposed today. 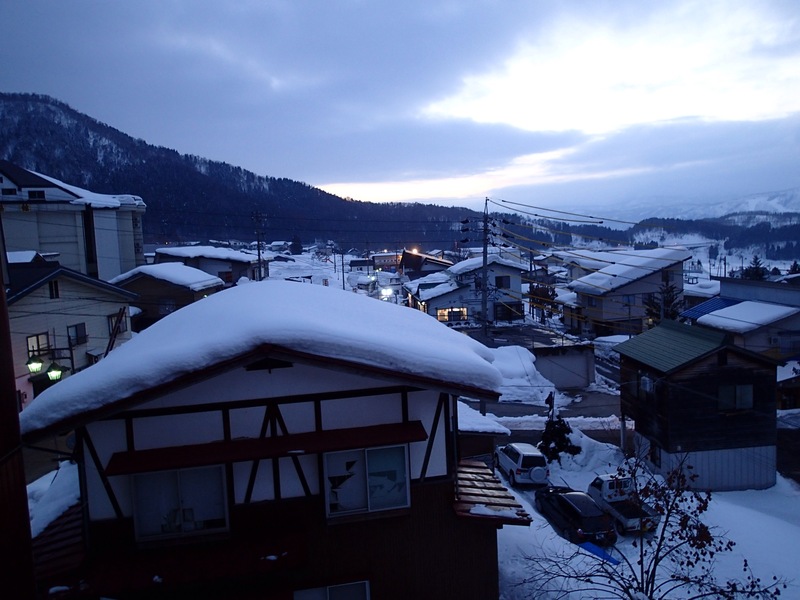 We spent the day wandering around the town, enjoying the views, onsen and coffee. 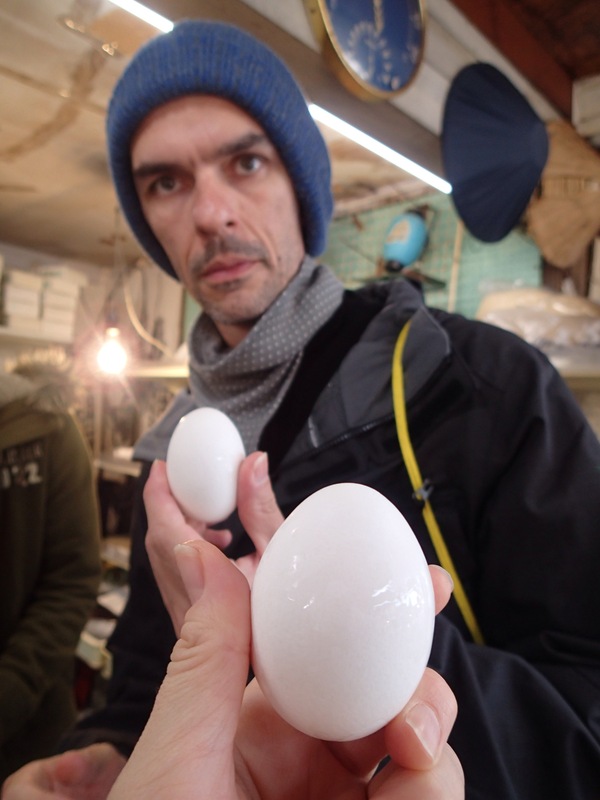 We stopped to enjoy an onsen egg. 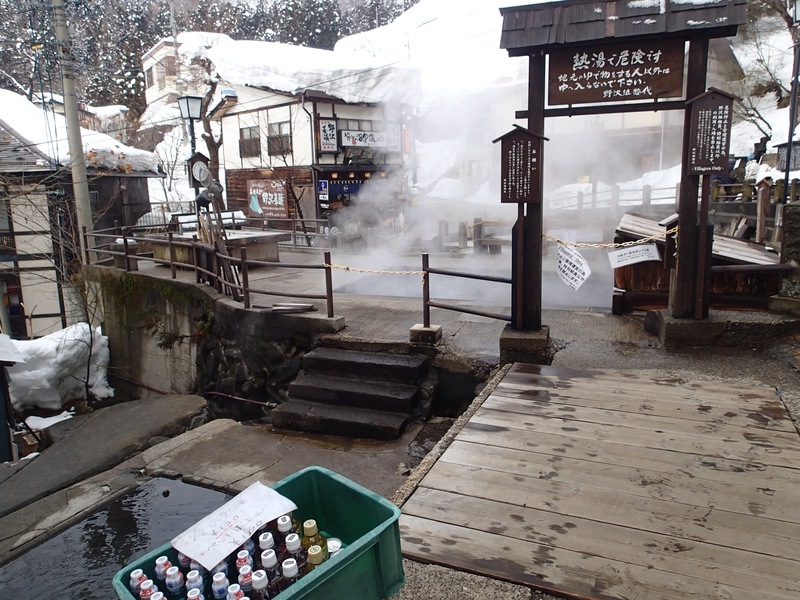 Eggs cooked in natural hot spring water. They were divine. 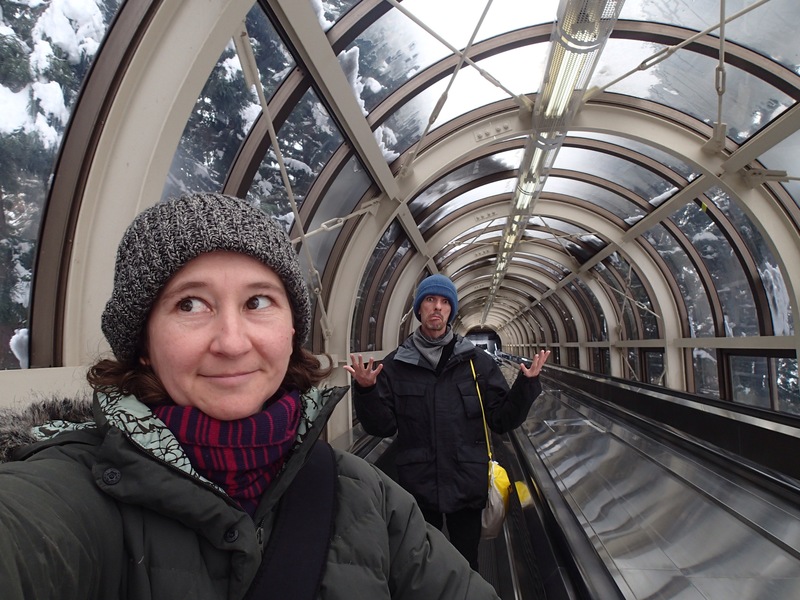 We went on the moving walk way. There were snow deliveries today. Lovely sunset views over the town today. For dinner we went to an Izakaya called Sakai. We went there last year too. It was good, but the staff were all a little tired (and burnt) from the previous night’s fire festival. 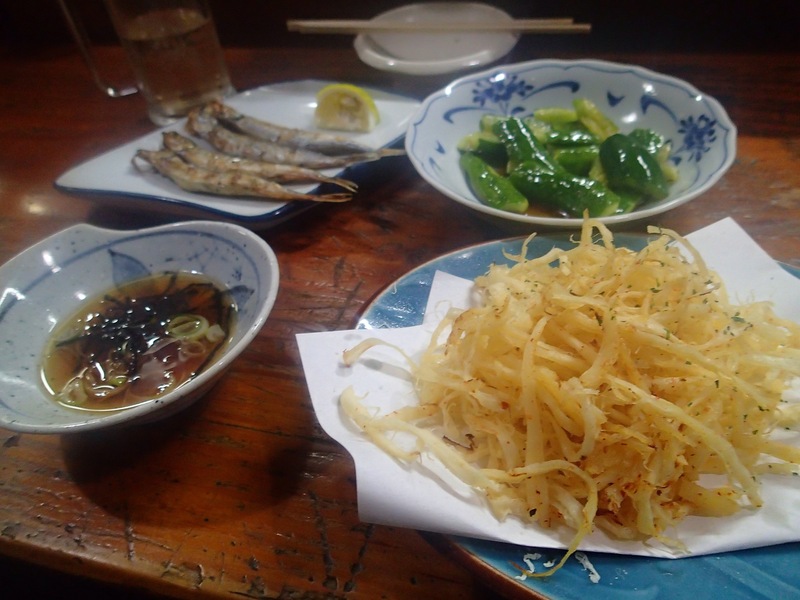 One of the delicious tasty treats we had was dried squid cooked in butter. 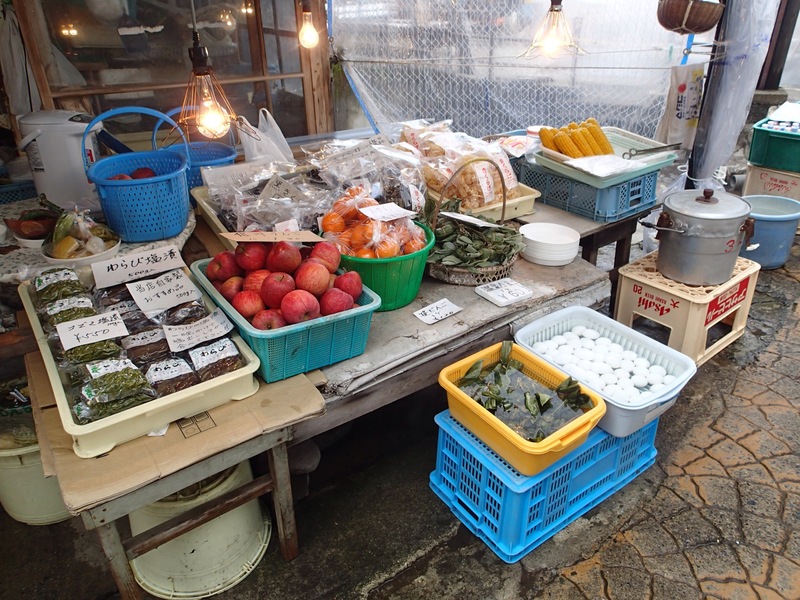 This entry was posted in 05 Nozawa 14_15, Japan 2014/15, Uncategorized. Bookmark the permalink. Amazing views and amazing food. So amazing then. Dried squid fried in butter? That should win some kind of prize. Also I look forward to your wacky Fringe Festival two-person comedy/theatre act you appear to be promoting in the travellator photo. 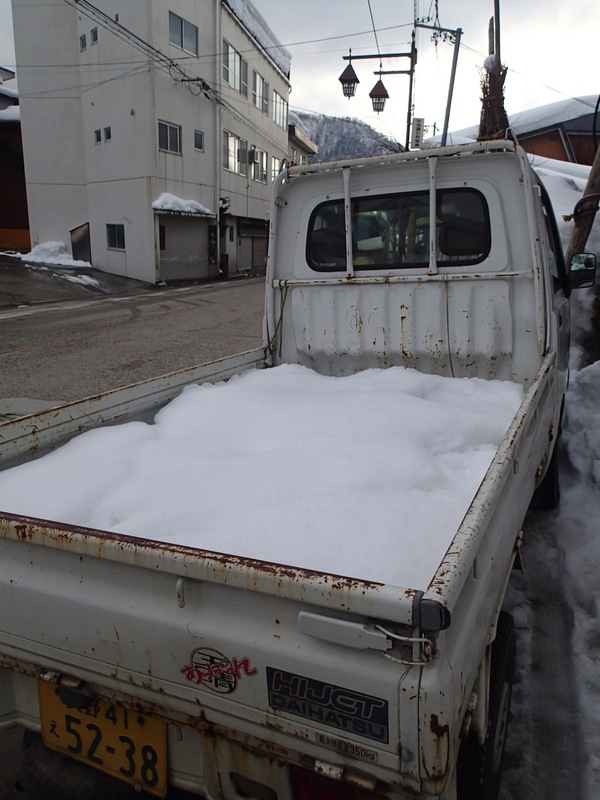 “Snow Idea – Two Gaijin Abroad”? Title will be; S-ton and Miso.